If you’re worried your partner might be being unfaithful to you or is having an affair, astrology could provide you with some helpful answers. People change – that’s an inevitable fact of life – and sometimes in really challenging ways that are hard to handle and get your head around! If your partner suddenly starts behaving differently or appears to be emotionally withdrawing from you, it’s easy to worry there’s something seriously wrong in your relationship and to automatically assume it’s because they’ve fallen out of love with you or, worse, because they're cheating on you and having an affair. But without getting the full astrological picture about where your partner is really coming from, it’s only too easy to fall into the trap of making false and potentially damaging assumptions about their true motivations and feelings. Often times, what they are really thinking and feeling is quite different to what you imagine it to be. Just because your partner is being more distant or somewhat colder and less affectionate towards you, don’t immediately jump to the conclusion that it’s because they’re considering being unfaithful or are actually cheating on you. First consider some of the other possible explanations. In reality, the reason why your partner is pulling back a little could just be that they temporarily need some time to themselves, perhaps to work through a sensitive personal issue they can’t readily discuss with you. In this case, a quick check on what is currently going on their birth chart will often put your mind at rest. Understanding your partner’s current moods and desires, as revealed by an analysis of the main astrological influences affecting them right now, will also help you to provide them with the kind of support that’s best suited to their present needs and is most beneficial for the wellbeing of your relationship. Maybe it’s a question of showing your partner a little more emotional empathy at the moment and being readier to offer a listening ear. Or perhaps what they would actually benefit most from at the present time is more personal space and freedom to explore their individuality, doing their own thing by themselves without you constantly looking over their shoulder. If, on the other hand, the Stars suggest that something more serious is potentially going on, it’s always better to be forewarned and forearmed. When you suspect your partner is getting restless or questioning their commitment to you, knowing how to handle this appropriately can make all the difference between heading off any tendencies towards cheating and unfaithfulness on their part or driving them straight out of the door. Please don’t automatically assume that any unwelcome changes in your partner's personality are inevitably going to be permanent and irreversible. Nothing and nobody stays the same for ever, and the likelihood is that your loved one’s present state of mind is only of a temporary nature and sooner or later will revert back to how it was previously. 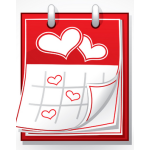 An astrological forecast report can serve as an invaluable guide as to how long any changes in your partner are likely to last and when you can expect them to be over. Simply by noting the timing and duration of your partner’s current astrological influences, having a little patience, and waiting for things to settle down, you can avoid disastrous knee-jerk reactions in a potential relationship crisis and ride out the storm very successfully. Knowledge is power where love is concerned, and astrology is a great tool for empowering ourselves with the information we need in order to make the right decisions, take the right actions, and take positive control over our love lives. If your partner suddenly starts behaving strangely for reasons you don’t understand, obtaining an astrology report that explains why this is happening, what to do about it, and how long it is likely to go on for, can be enormously helpful in minimizing the potential fall-out in your relationship. 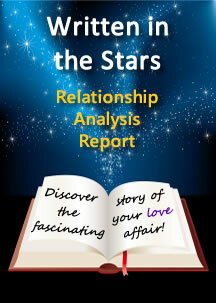 The Secret of Love Chemistry - Is It Really All in the Stars? The Internet Dating Game - Learn How to Play and Win! Love Triangles - The Ultimate Sexual Turn-On or a Recipe for Tears?